St Helena Tourism has confirmed that the second weekly scheduled flight service to the island, launched earlier this month, will again operate throughout the 2019-20 summer season. 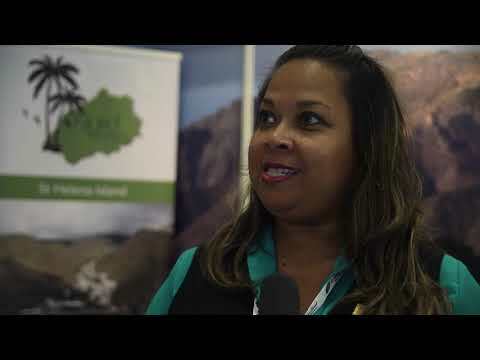 Breaking Travel News finds out how the new runway on the island has transformed the hospitality sector from St Helena director of tourism Helena Bennett. She also tells us a little about the accommodation options on offer to guests who make the journey to the remote south Atlantic destination. Enterprise St Helena has signed a contract with the Brighter Group which will see the London firm take on as the new public relations agency for the organisation. A further 19 flights will now be available for the UK overseas territory of St Helena during the peak summer season from December 2018 to April 2019. The government of Saint Helena has announced that SA Airlink has been chosen as the preferred bidder for the provision of a scheduled commercial air service to the island. SA Airlink is a privately owned airline registered in South Africa. One of the last working Royal Mail Ships in the world, the RMS St Helena, is to continue serving her namesake, the remote South Atlantic island of St Helena, for another 12 months. The news comes following the indefinite postponement of the opening of an airport on the island. Visitors to St Helena Island will soon be able to stay in the cottage that housed one of Napoleon Bonaparte’s most famous officers, Grand Marshall Bertrand. On October 20th, 1816, Bertrand moved his family into a cottage that had been especially built for him by the British so that he could be closer to Napoleon.